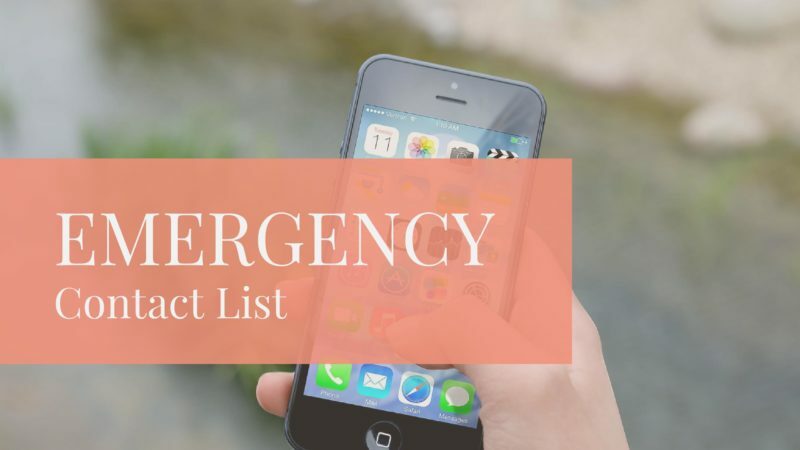 It’s very helpful to have a list of emergency contact info all in one place. 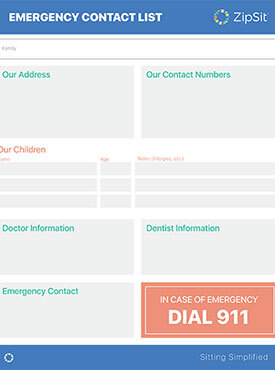 Print our Emergency Contact List (click here) and fill in the blanks. Make a few copies, they are handy to have in different places. It is suggested that you complete a new form every 6-12 months so all information is kept accurate. Though you may never need it (that’s the hope! ), you’ll rest better knowing that if ever there is an emergency, you or whoever is watching your children will easily be able to find all the necessary info.